One of the many allegations in "Black Dahlia Avenger" is that Dr. George Hodel killed Jeanne French, who was found brutally beaten and viciously stomped to death Feb. 10, 1947. But evidence from the Los Angeles County district attorney's office contradicts all allegations. 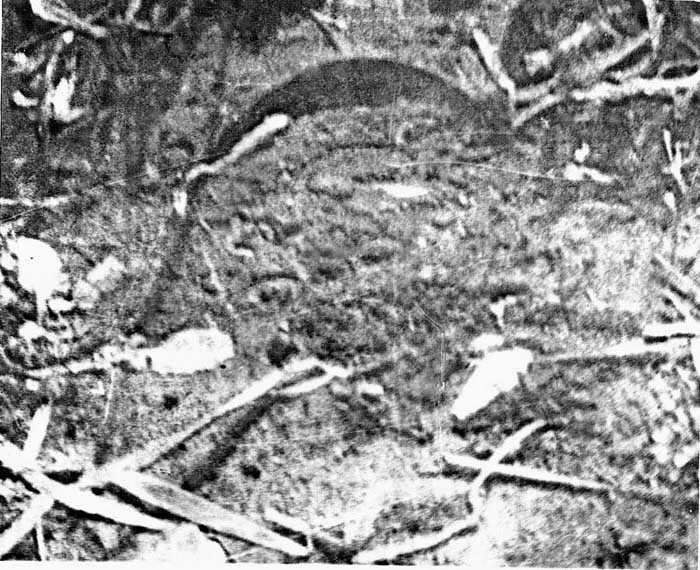 Whoever killed French stomped her face and body, leaving heel marks that were photographed and measured by crime lab technicians, as shown above. Measurements determined that the heels were from a man's size 6 or 7 shoe, while Dr. Hodel--according to the Hodel family--wore "very large shoes." Click here to see read a page from Lt. Frank Jemison's 1950 report on the case.